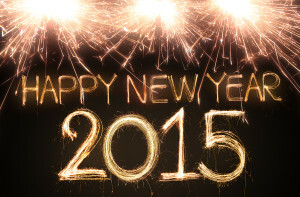 The entire team at Top Driver would like to wish everyone Happy New Year! We hope everyone has a safe and fun New Year’s Eve as well. We are looking forward to 2015 and all it holds. A lot of people like to go out and party, so please be careful while on the road. While drinking is always an issue on New Year’s Eve there are zero tolerance laws for teens still underage drinking is not only unsafe, but it is also illegal. We’d like to take a moment to remind teens and parents even though it’s a holiday that all teen driving restrictions are still in effect. What this means is that teens are restricted on how many underage non-related passengers they may have in the car and how late they are allowed to be out driving. It’s important that parents keep those restrictions in mind as parents and teens make plans for New Year’s Eve. Depending on the state a teen caught violating driving curfew laws or with more than the allowed number of passengers in their vehicle can face further restrictions or lose their license entirely. Michigan’s graduated system is based on the teen’s age and how long the teen has had their license without incident instead of just age. While there are small variations in the laws between the states in most cases the teen can not be on the road once the ball drops at midnight and should not plan on driving all their friends to and from the evenings festivities. This entry was posted in Top Driver Blog and tagged Driving Practice, driving restrictions, passenger restrictions, restricted driving hours, Teen Driver, teen drivers, Teenage Drivers, Teens To Drive.